Peppers, Tomatoes and Squash, Oh My! This year we completely sold out of peppers! Luckily, we planted some inside the greenhouse. They love the heat and so do the eggplant. We are getting blooms already. The greenhouse tomatoes are just beginning to ripen. We still have lettuce to pick. We are experimenting with melons. We have Charentais, Amish Muskmelon and Blacktail Mountain. These last two should have a shorter growing season. I always have the problem deciding when the melons are ripe. I usually pick them too early but one time left it on the vine until it exploded. If anyone has expertise let me know. We are planting the outside gardens. We have squash, tomatoes, tomatillos, cukes and beds of flowers. We still need help with tying up the tomatoes. 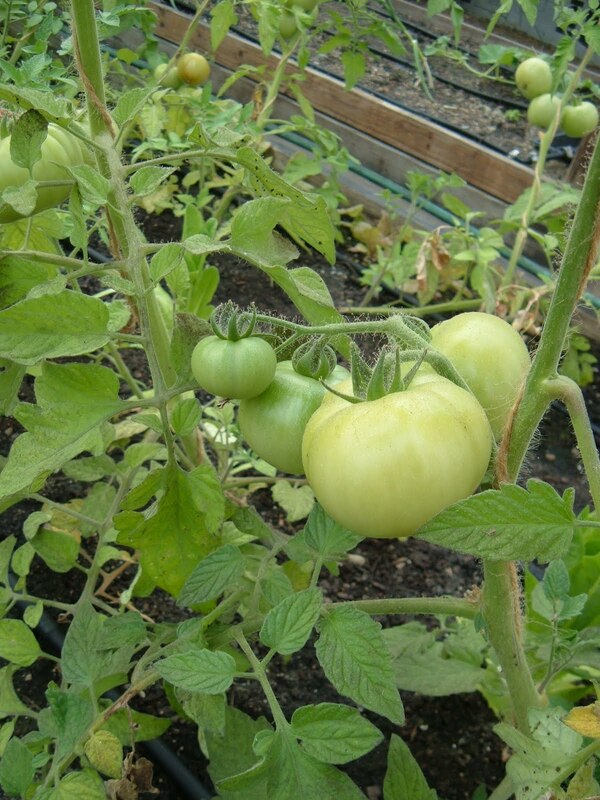 On Monday we are planting the last tomato bed, please come if you can. We aslo have leeks and winter squash to plant. Thalia, Diane and Alicia potted up tomatoes for the Down Island Farmer's Market on the harbor. It begins June 28th. The David Crohan Concert is August 7th and we are looking for volunteers. The theme will be the Top Hat Fund to raise money for the new cover for the greenhouse. Call Thalia if you can help. The food prepared in each particular level will be based on the crops of the season.